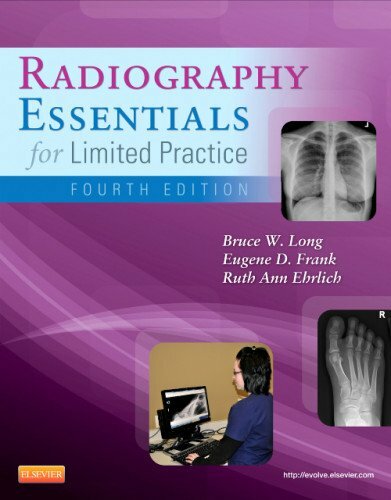 Curriculum for Limited X-ray Machine Operators.The latest information on state licensure and limited radiography terminology ensures you understand the role of the limited practitioner.Topics include x-ray science and techniques; radiation safety; radiographic anatomy, pathology, and positioning of upper and lower extremities, spine, chest and head; patient care; and ancillary clinical skills.Over 1,000 anatomy illustrations, positioning photos, and x-rays teach anatomy and demonstrate patient positioning and the resulting x-rays in detail.Math and radiologic physics concepts are presented in a easy-to-follow way. Bone densitometry chapter provides all the information needed to perform bone densitometry exams and to pass the ARRT bone densitometry certification exam.Step-by-step instructions for positioning the patient for the radiographic procedures performed by limited operators. EXPANDED! Digital imaging concepts reflect current practice and meet the requirements of the ASRT Limited Scope Content Specifications.NEW! The most common podiatric and chiropractic radiography procedures have been added for practitioners working in states that have limited podiatric or chiropractic license categories. NEW! Updated drawings, photos, and medical radiographs enhance understanding of key concepts and illustrate current technology. UPDATED! Patient care section now includes discussions of mechanical lifts and safe storage of chemicals, as well as a table of normal pediatric and adult vital signs.